REA have created a free essential tips for Landlords which alleviates many pressures that can materialise when you are looking to rent out your property. Please help yourself to download and print this free brochure or just read on below. The legalities of property rental are becoming more and more convoluted, thus it is imperative that you are fully aware of all regulations and laws which apply. For example, you will need an Energy Performance Certificate to be able to market your property and tenant deposits need to be protected in a Tenancy Deposit Protection Scheme. You must inform your mortgage lender of your intention to let your property – they should always be informed of any changes. Tax advice is essential when deciding on such important decisions. You may have a number of options available to you which will allow you to legitimately reduce your tax bill. All costs associated with the buy to let should be noted and recorded so you can file your tax returns and easily benefit from lower tax bills. Insurance cover is important; it must be noted that general household insurance will normally not suffice. 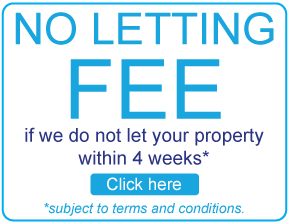 There are a number of policies that are available to landlords. REA will be more than happy to discuss your insurance options and we have a select panel of insurance providers who may be able to assist. Check that the agent has professional indemnity insurance which will cover them against the chance of being sued. Don’t sign the tenancy agreement until move-in day unless your property is already vacant. If you sign a new agreement and the old tenants change their mind at the last minute and don’t leave, you will be in breach of contract with the new tenants, and would have to pay for alternative accommodation for them. 8) What is a break clause? A break clause is a provision in a lease which enables either the landlord or the tenant (or both) to end the lease early. It may arise on one or more specified dates or be exercisable during any time during the term (often after a specified period of time has elapsed) on a “rolling” basis. By law if you take a deposit from your tenant on an Assured Shorthold Tenancy agreement in England and Wales, you must protect that deposit with a government-authorised tenancy deposit protection scheme, within 30 days of receiving it. Landlords are required to give information about their Tenants to the relevant water company. Failure to do so will leave the Landlord jointly and severely liable for the water bill alongside the Tenants. Under the Gas Safety Regulations 1998 it is a statutory requirement that all gas appliances and flues in rented accommodation are checked for safety within 12 months of installation and thereafter every 12 months by a competent engineer. A copy of the safety certificate issued by the engineer must be given to each new Tenant before their new tenancy commences or to each existing Tenant with 28 days of the check being carried out. 13) What is the difference between a Section 8 and Section 21? A section 21, also known as a ‘Notice of Possession’, should be served to end a an assured shorthold Tenancy Agreement so the landlord can regain possession on the last day of the fixed term of the tenancy or afterwards during a periodic tenancy. Unlike when serving a section 8, a landlord does not any reason for serving the notice to regain possession of the property, other than he/she simply wants the tenant to vacate. Here’s a more detailed look into Section 21 – Notice of Possession Order Form. Essentially, a Section 8 should be served when a tenant has done something wrong e.g. fallen into rent arrears. A Section 21 should be served when the landlord simply wants the tenant to vacate the property at the end of the tenancy or during a periodic tenancy. If you wish to visit your property, you must give your tenants 24 hours’ notice and they must agree to your visit. Reasonable access is wholly dependent on what you may need access for. Unless you have a court order, or there’s an emergency (e.g. fire) you may not enter the property without the tenant’s consent. If you enter without their permission, this will constitute as trespassing. Leave a pack with user manuals for all your appliances in the property. This could potentially avoid any call out charges for engineers. It is essential that you form a good relationship with your tenants as this will create an environment where your tenants will treat your property with care and respect. This is always good practise; it will help you cover for any eventuality. There is a never set amount for this kind of fund but as you ascertain the running of your property and any potential discrepancies, you will be able to gauge what kind of emergency fund you may need.